Southgate Windows supplies uPVC Patio doors throughout Bridgwater, Somerset and surrounding areas. uPVC patio doors are ideal for homeowners looking to create a stylish entrance to their garden. Our patio doors offer panoramic views whilst taking up a minimal amount of space, perfect for smaller homes. 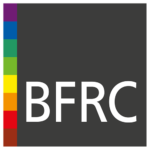 We extend our trade service across Bridgwater, Bristol, Somerset and Devon as well as Taunton, Glastonbury, Weston Super Mare, Bath, Exeter, and Barnstable. We are also amenable to going out further depending on the size of the project, so get in touch and find out. We bring beautiful double glazed uPVC patio doors from Liniar. These doors will add elegance and style to all Somerset homes. Additionally, they also offer some fantastic features. Our uPVC patio doors from Liniar come in 2 profiles – a 4-chambered Standard and a 6-chambered EnergyPlus for better insulation, giving you an A+ energy rating easily. Additionally, you get the patented co-extruded bubble gasket, along with glazing flipper, and thermal dam. These features help give you and your clients a warmer home that does not consume as much energy in heating. Moreover, you also get complete weatherproofing so you don’t have to worry about draughts or rainwater seepage. 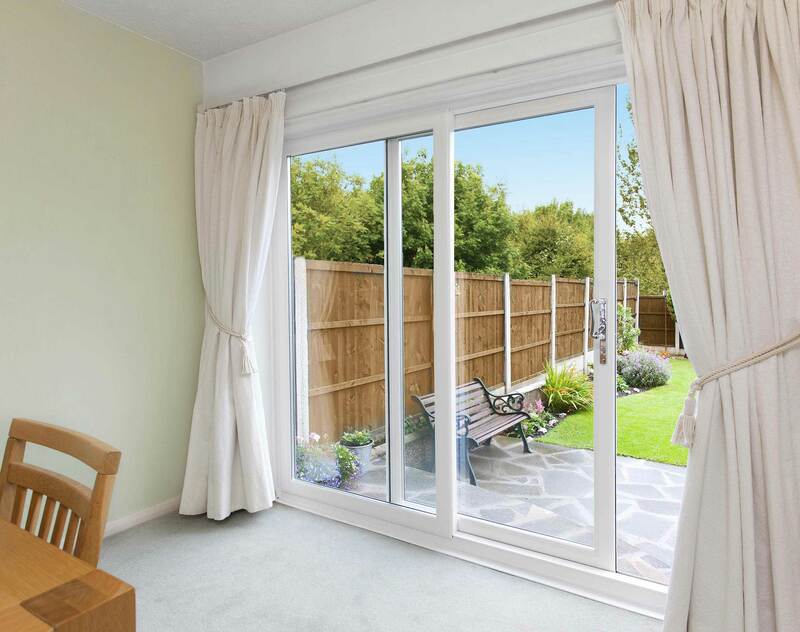 Our uPVC patio doors save space in your home as they slide open on tracks instead of swinging. 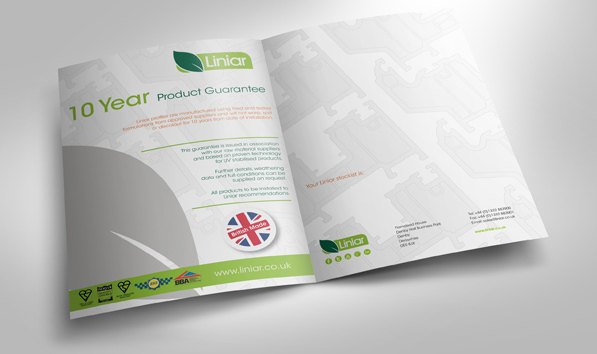 Additionally, they are fitted with the multi-wheeled ‘Air Glide’ system from Liniar. As a result, they always open smoothly and quietly. These sliding patio doors also have brushes installed along the rollers. These sweep away any dirt, debris, or grit which might affect the smooth movement of the wheels. This means they virtually maintain themselves, leaving you or your client free to enjoy the beautiful looks of these doors. Our patio doors come with the durability and resilience of uPVC. As a result, they are incredibly tough and difficult to damage. Moreover, we give you sliding doors that have the patented Modlock modular locking mechanism integrated into the frame. 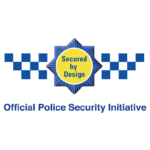 These high-security locks not only help keep the property well-protected but also provide a smoother finish. The integrated locks give a fully-sculptured look to the frames, giving them cleaner lines that are suited to a modern home in Somerset. We understand that different clients have different needs, which is why we offer amazing levels of customisation with our uPVC patio doors. 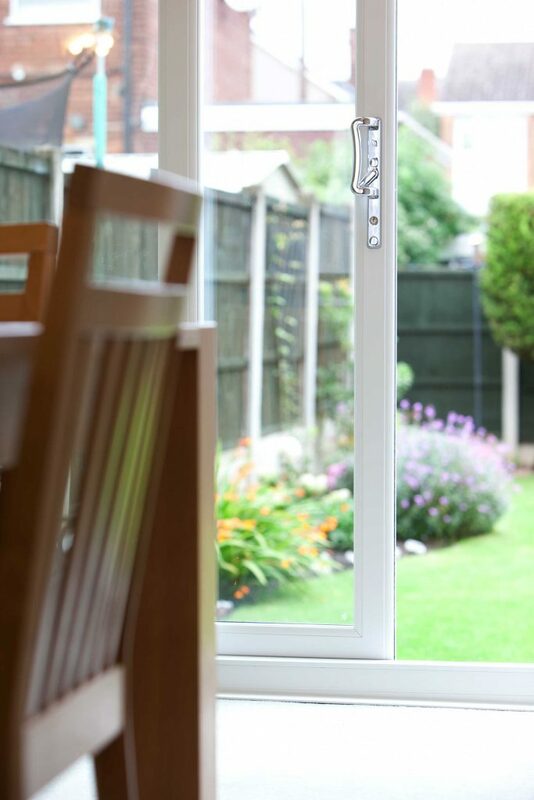 Their ultra-slim uPVC sightlines can be further enhanced with your choice of colour. We offer a spectrum of colour and finish choices, ranging from the ordinary, like ‘Black’ and ‘White’, to unusual colours like ‘Chartwell Green’, ‘Dark Red, and ‘Burgundy’. We also offer a beautiful range of woodgrain foils so the patio doors look like authentic wooden doors. uPVC patio doors are a great way to maximise space in any Somerset home. They don’t need a wide swinging arc cleared on the floor to open. As a result, your clients get more usable floor space. Additionally, these large double glazed patio doors offer spectacular views that you can enjoy even when the doors are shut. 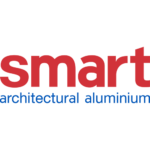 Whether you opt for the Standard 4-chambered profile or the EnergyPlus 6-chambered one, you get amazing thermal performance. You and your clients can easily get an A+ energy rating with these patio doors. 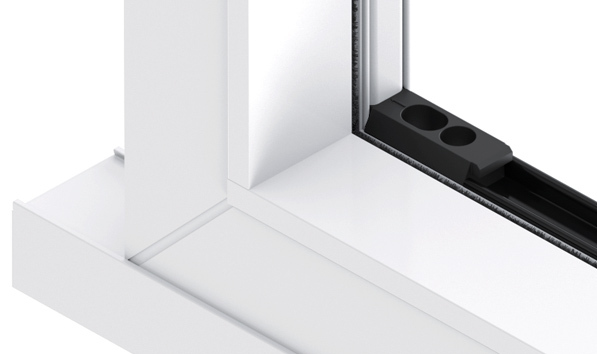 In fact, a cost-effective double glazing can give you a U-value of 1.2 W/m2K with the Standard, and as low as 0.8 W/m2K with the EnergyPlus profile. Liniar sliding patio doors are also great at providing security. 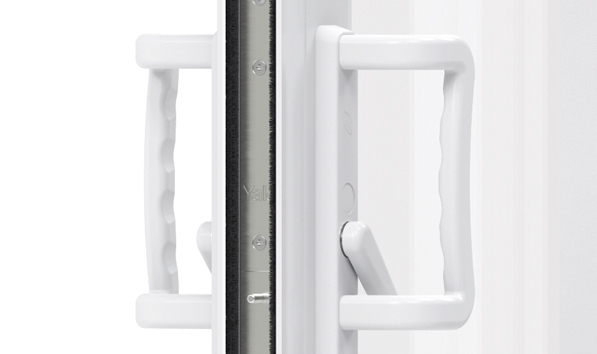 Fitted with an extremely secure locking system, you can rely on Liniar patio doors for a safe home. Aside from this, the uPVC profile and glass are extremely durable and can withstand a huge amount of pressure meaning they can protect any home from the natural elements. This patio door system has patented ModLock™ integrated into the frames for clean and efficient protection. 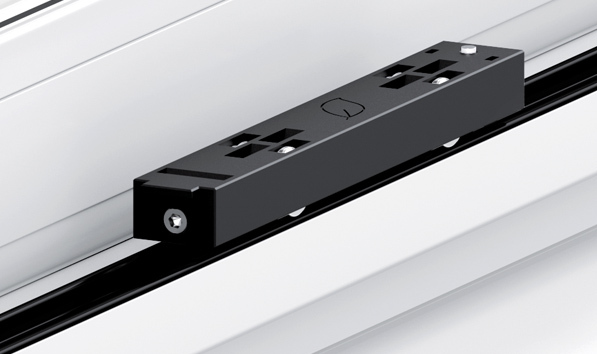 This means that once the profile is due to be replaced, the seamless steel sections can easily be removed, meaning the uPVC can be recycled faster, and with less effort. uPVC patio doors are so durable that even the required care is minimal. The built-in brushes that run along the bottom of the sliding system to self-clean any grit, dirt, or debris that gets in the tracks and could affect the smooth motion. Even the surface of these double glazed patio doors needs nothing more than a quick wipe with a wet cloth. As promised, this door system will last for years. 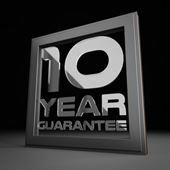 We even offer a 10-year manufacturer-backed guarantee. Our trade uPVC patio door prices are so competitive that you will be able to give your customers tremendous value without losing your profit margins. Southgate Windows offer a fast turnaround and low trade prices for uPVC patio doors, helping you plan your work and keep your customers informed. With their in-built cleaning and care system, our sliding patio doors require nothing more than a quick mop with a damp cloth to keep them clean. Our selection of colour and finish options are so vast that you will be able to give your clients the sliding patio doors they’ve always dreamt of. A choice of profiles allows you to choose between different levels of heat efficiency, giving you and your clients a warm home. Our uPVC patio doors come with sleek and slim profiles, so that the doors give you a wide and unobstructed view of the outside. We bring you uPVC sliding patio doors that are not only fantastic to use but also easy to install. Our fitter-friendly doors can be installed quickly and efficiently. This gives you a happy client and you a great-value installation that is cost-effective and time-effective! Our patio doors are fitted with Liniar’s multi-wheeled ‘air glide’ system, ensuring perfect balance and quiet sliding motion. Ultra-slim sightlines result in maximum natural light and engaging panoramic views. The patio doors are also available in a low threshold option for ease of access. 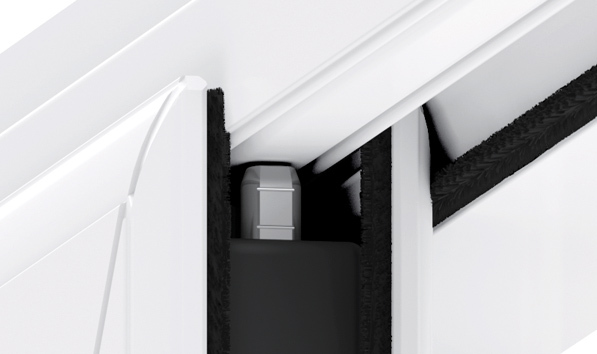 uPVC patio doors are fitted with brushes at the bottom to sweep away built up debris, dirt and grit ensuring your sliding system maintains its smoothness. Built with a multi-chambered profile to help reduce your customers’ energy bills, plus the highest quality thermally efficient glass. Available in a wide range of RAL colours and hardware so you can match your patio door to your existing double glazing. Fully sculptured features providing a smooth finish. 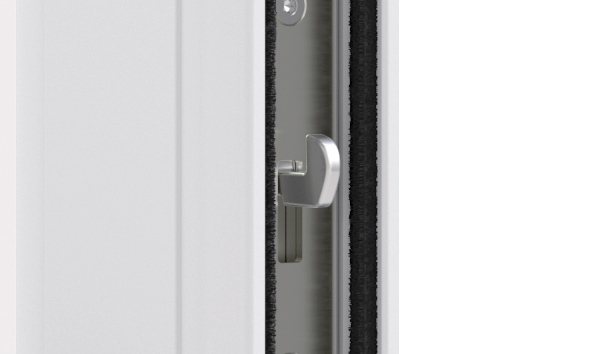 Blending into any property, Liniar’s patented ModLock locking mechanism is built into the frame. We offer uPVC patio door prices that are some of the most competitive in Somerset. To get a quick estimate of your sliding patio door costs, you can use our online quoting engine. This will give you a bespoke patio door quote based on your requirements. If you need additional information, get in touch with us or visit our product support page. We will be happy to provide you with detailed product information, our turnaround times, and your patio door quotes. We extend our supply only patio doors all over Bridgwater, Bristol, Somerset, and Devon, as well as Taunton, Glastonbury, Weston Super Mare, Bath, Exeter, and Barnstable.